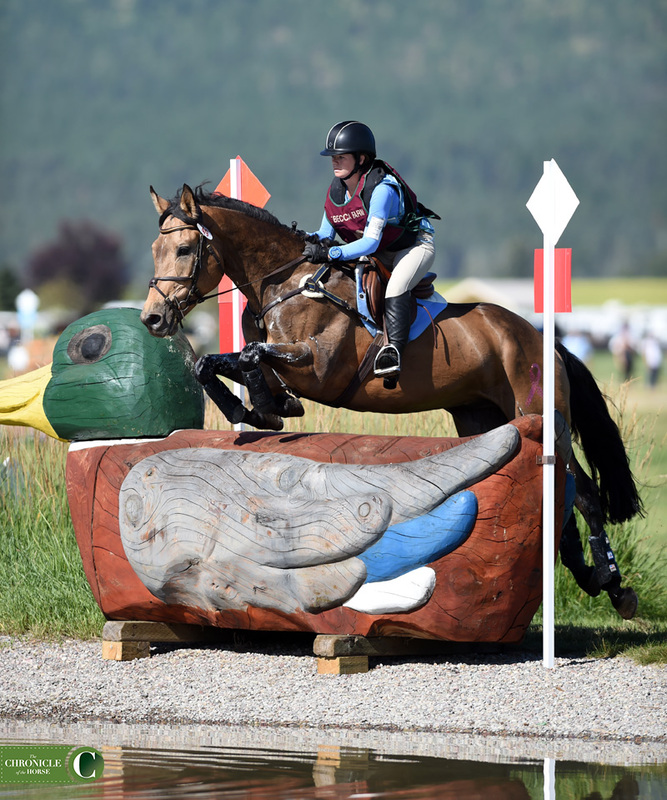 It was a weekend full of eventing action in Montana as The Event At Rebecca Farm hosted CICs, CCIs, horse trials and the eventing portion of the Adequan/FEI North American Junior and Young Rider Championships. 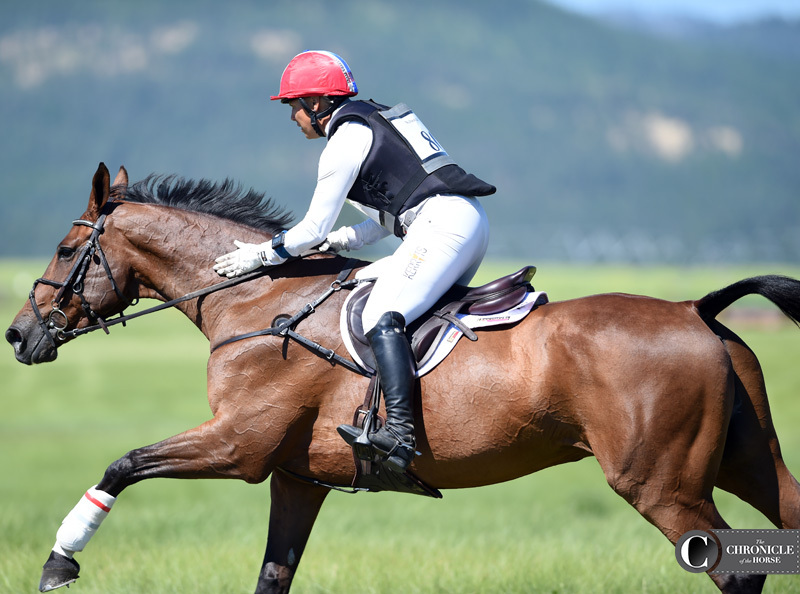 Emily Pestl-Dimmitt was thrilled with Airlington’s show jumping round in the CIC***. 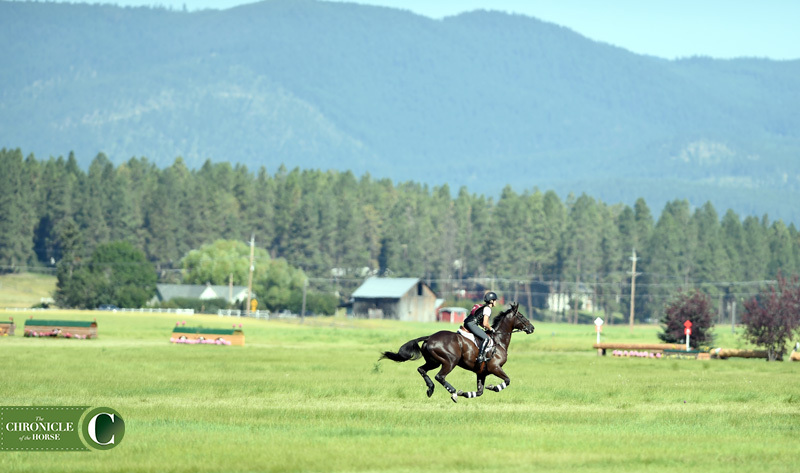 The views on cross-country were breathtaking at Rebecca Farm. 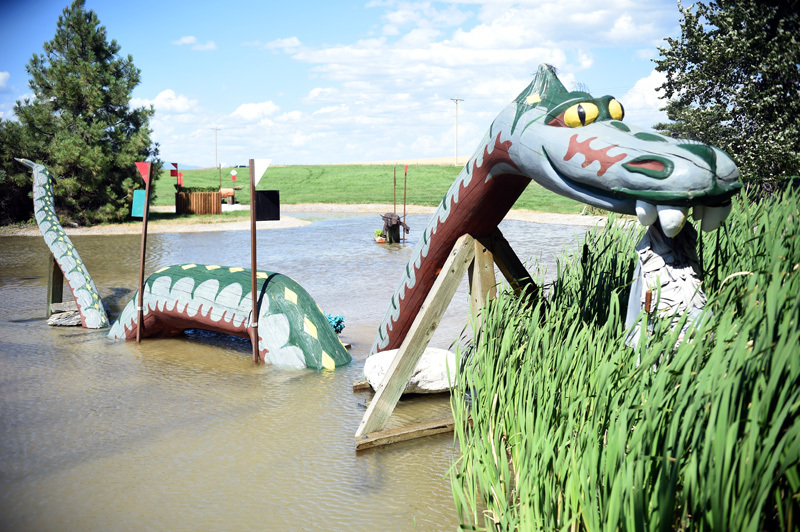 Training level riders had quite the challenge over this fence. Looks like he ate a photographer! 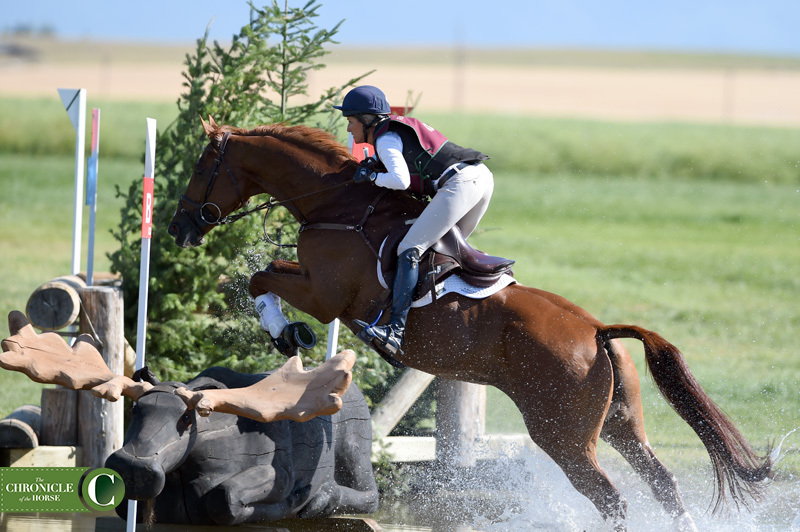 Bec Braitling jumped the carved moose with Walterstown Don in the CCI**. 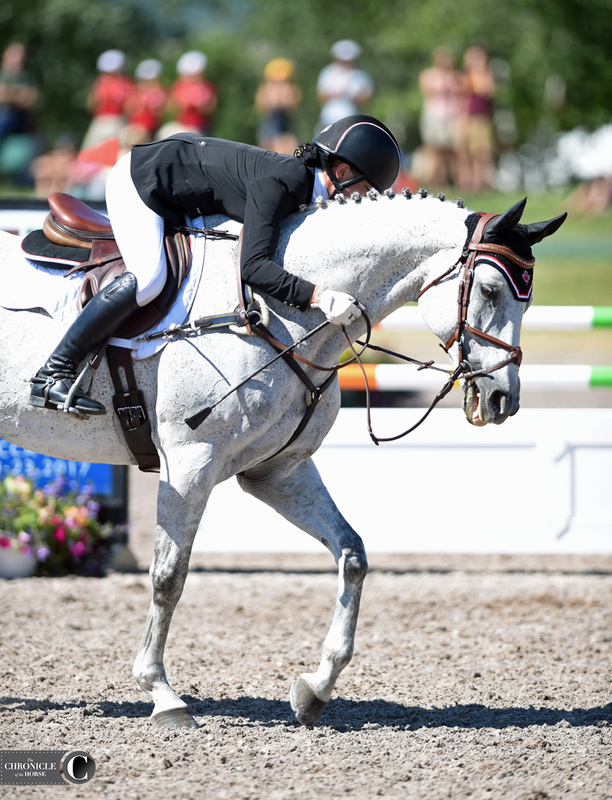 The adorable Connemara Zaboomafoo competed in the CCI** with Anna Stein. 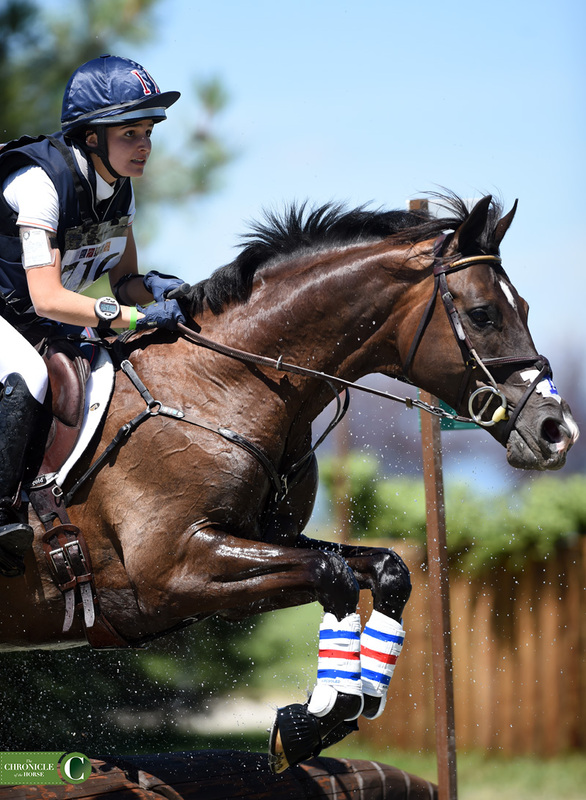 Heather Morris gave Charlie Tango a pat in the CCI***. 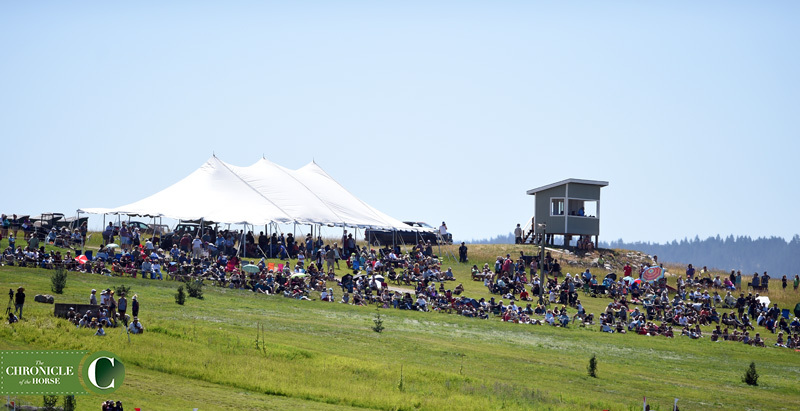 Spectators sat on the hill for commanding views of the course. 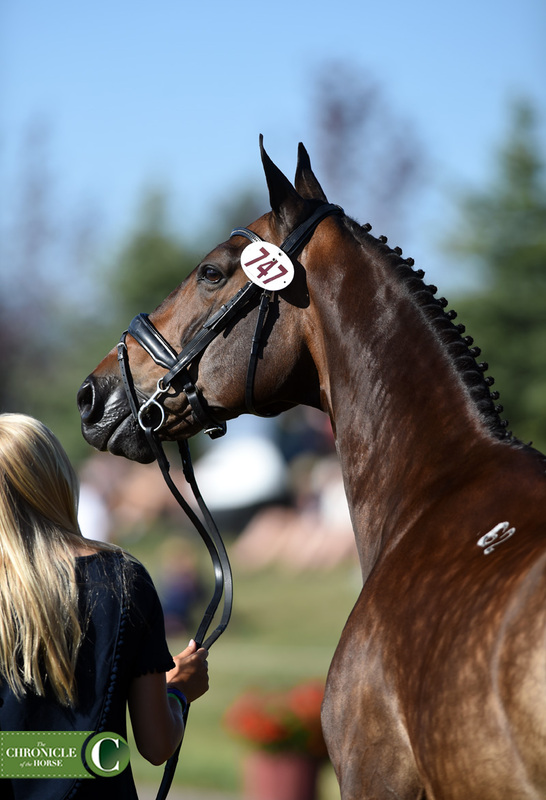 Lily Geelan’s Luksor shined in the sun. 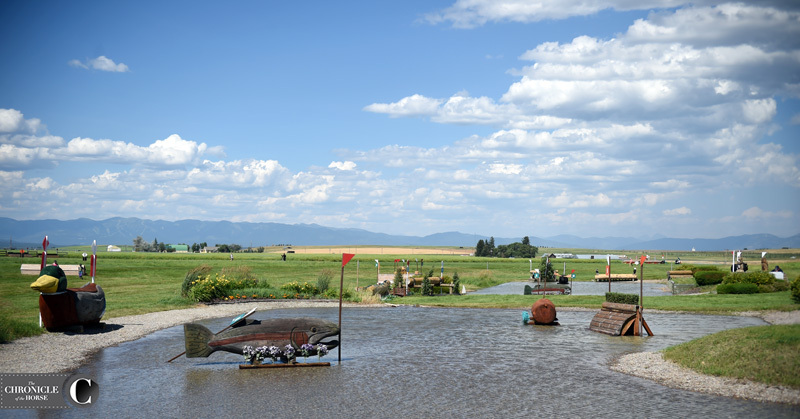 A view of the first water jump for NAJYRC. 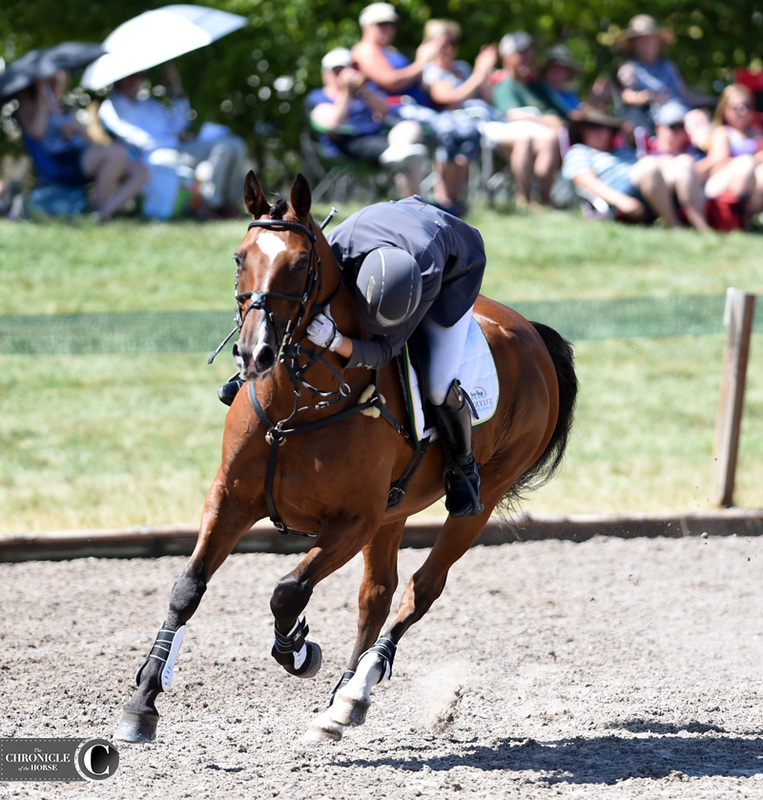 Alexa Gartenberg and Patras VR were focused in the CCI* for Area II. 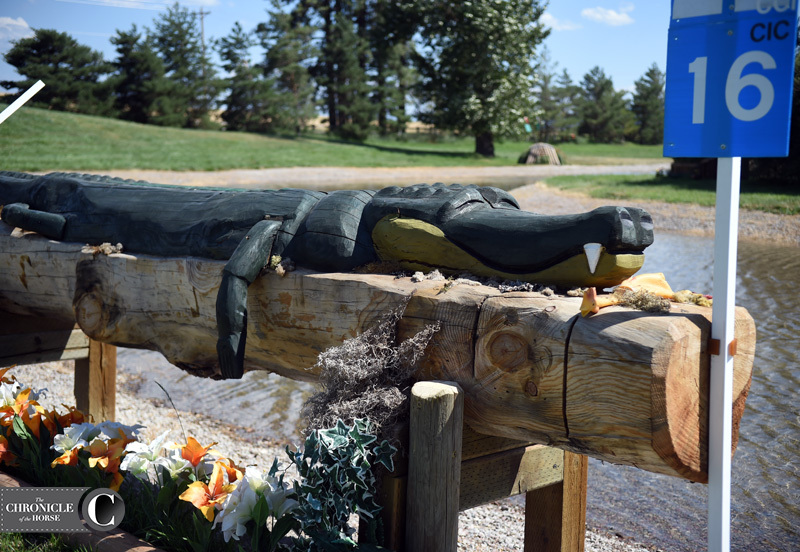 Gorgeous carved animals dotted the cross-country course.This alligator sported a mischievous grin. Sarah Broussard sported great style during the Halt Cancer at X Challenge. 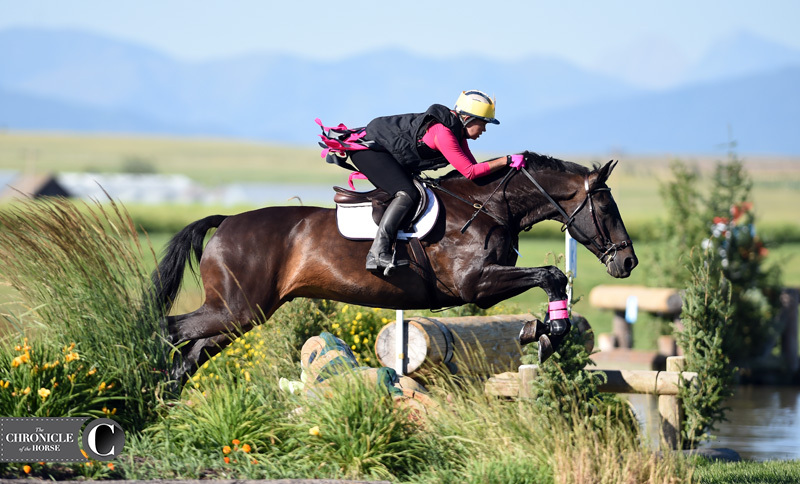 No one really knew what was going on during the cross-country phase of Halt Cancer at X as competitors made up their own courses. 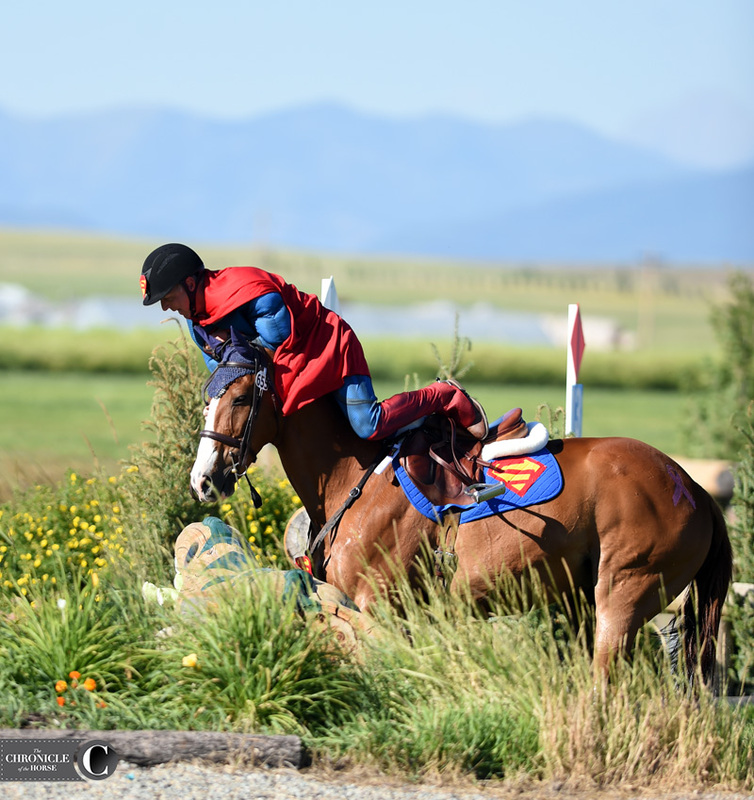 Here Superman (Robert Stevenson) goes flying, but not the way he’s supposed to! Neither horse nor rider were injured. 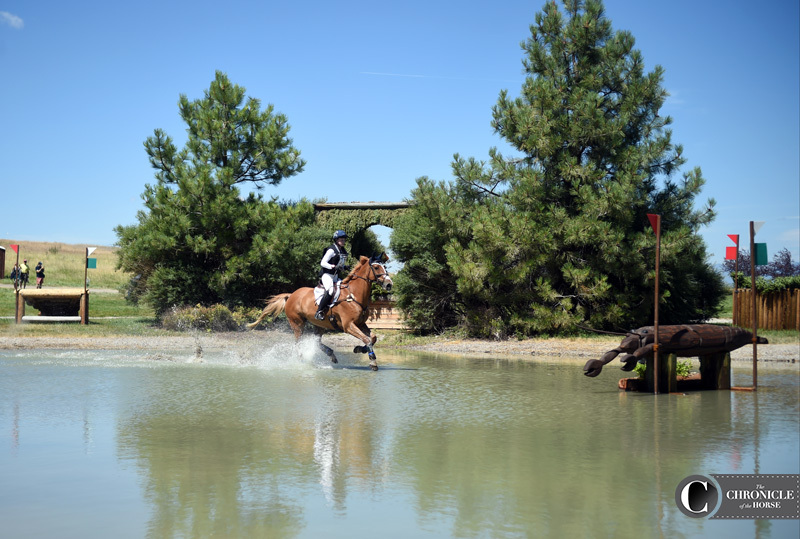 USEA CEO Rob Burke took a tumble in a muddy water jump but got back on to tackle the carrot jump. 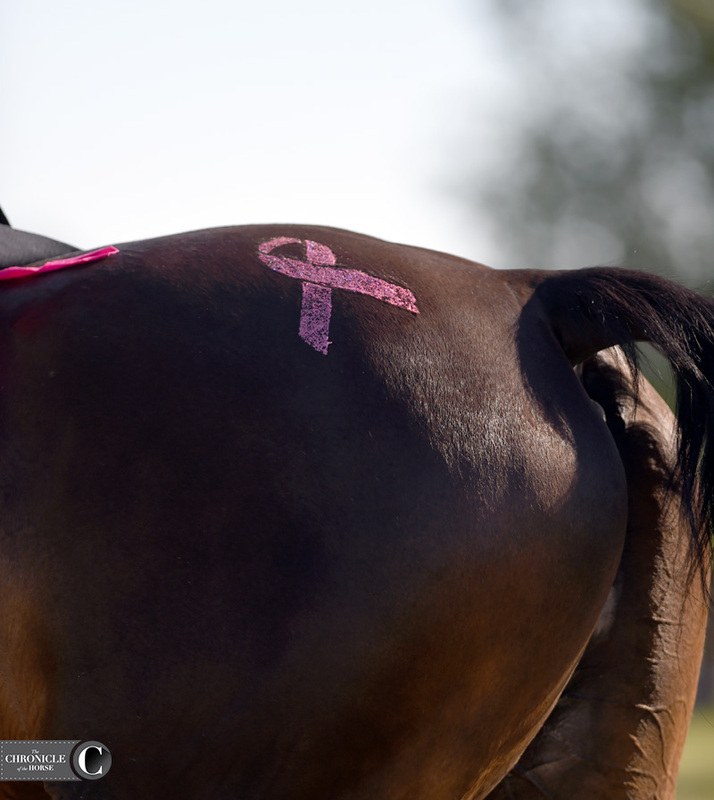 Some riders showcased pink breast cancer awareness ribbons. 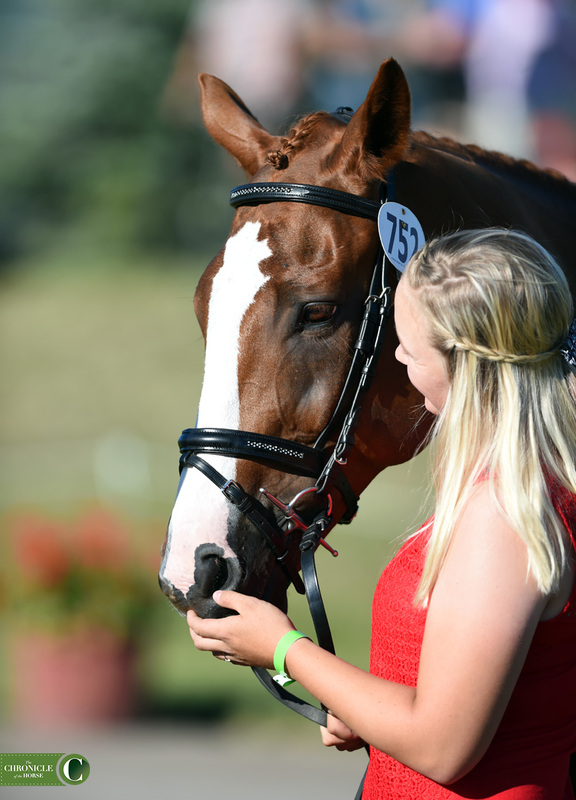 April Simmonds and Impressively Done shared a quiet moment at the final NAJYRC horse inspection. 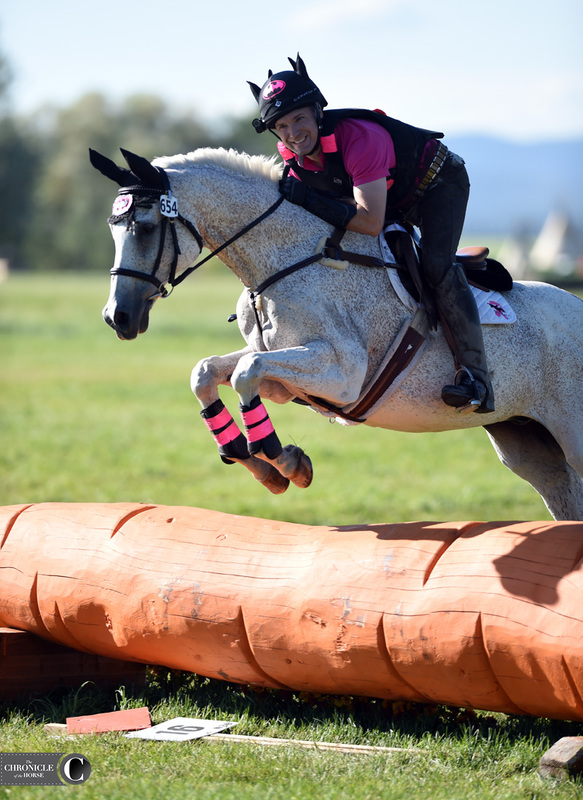 Kentucky Three-Day Event course designer Derek di Grazia won the CCI** on Ringwood Justice. 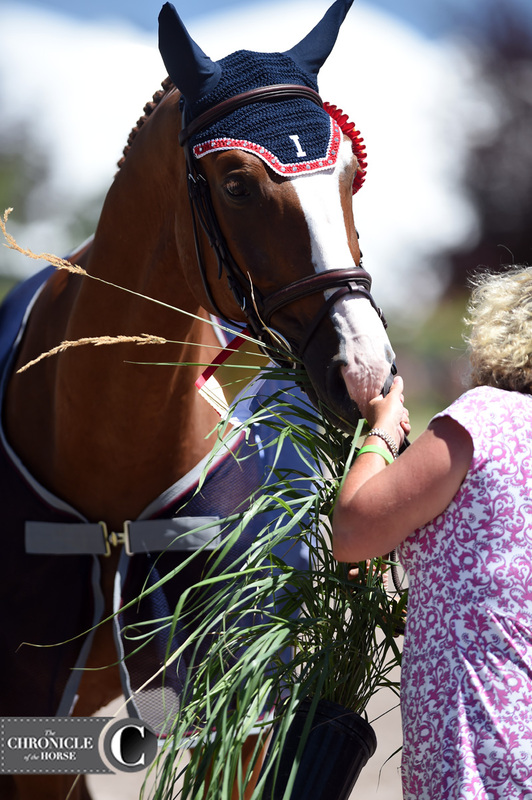 Tosca Holmes-Smith gave Fiat a hug after their show jumping round, which secured them an individual gold medal in the CCI*. 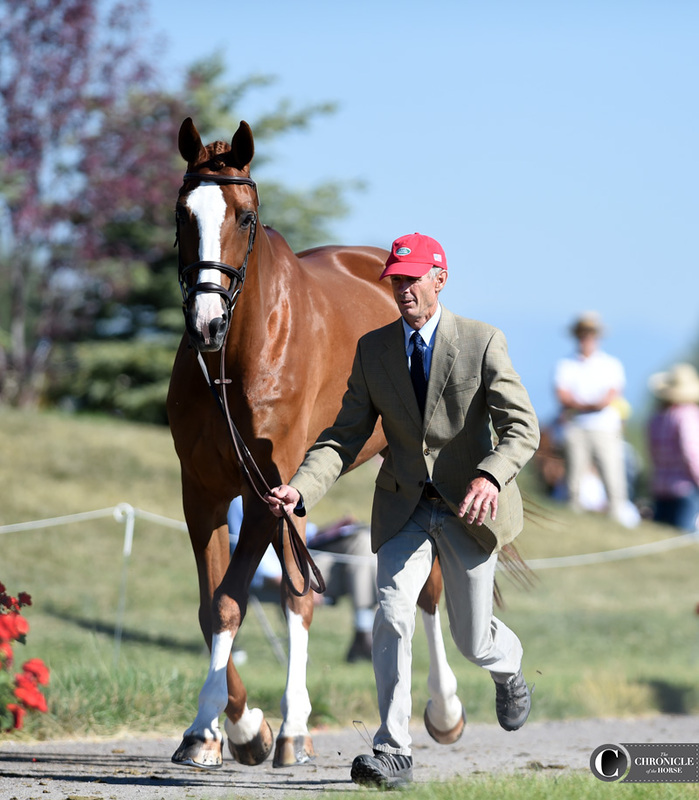 Louis M got into some mischief during the NAJYRC medal ceremony.